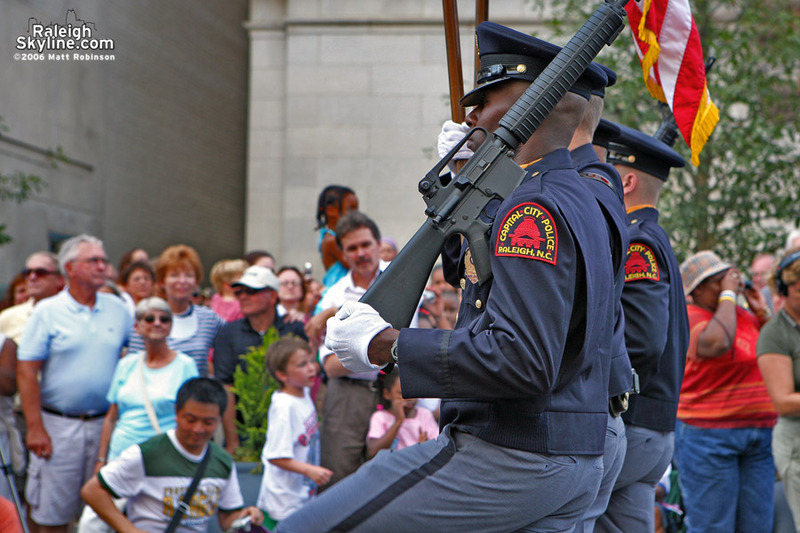 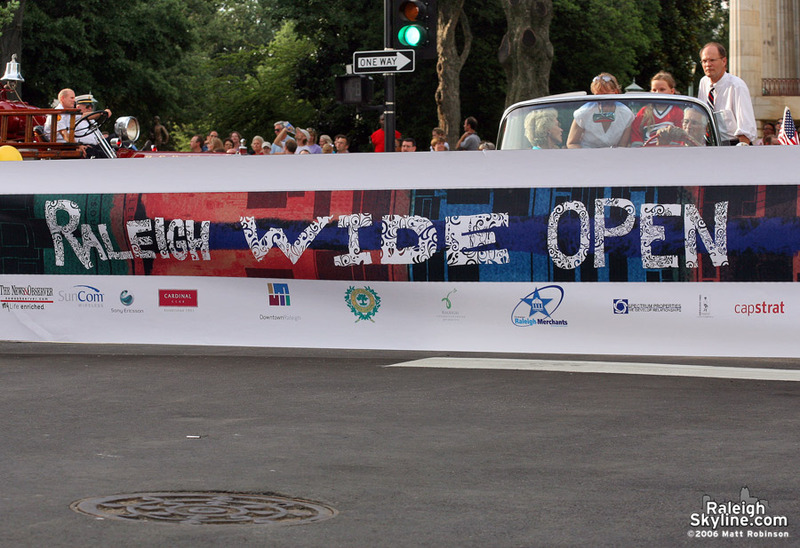 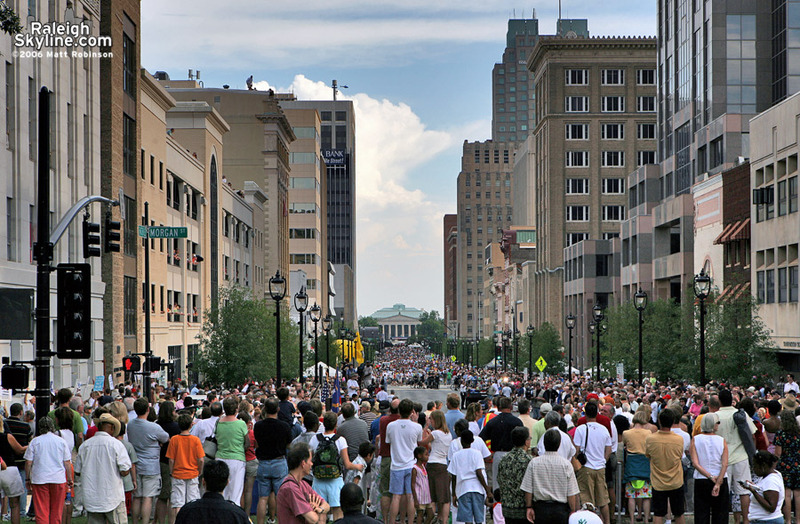 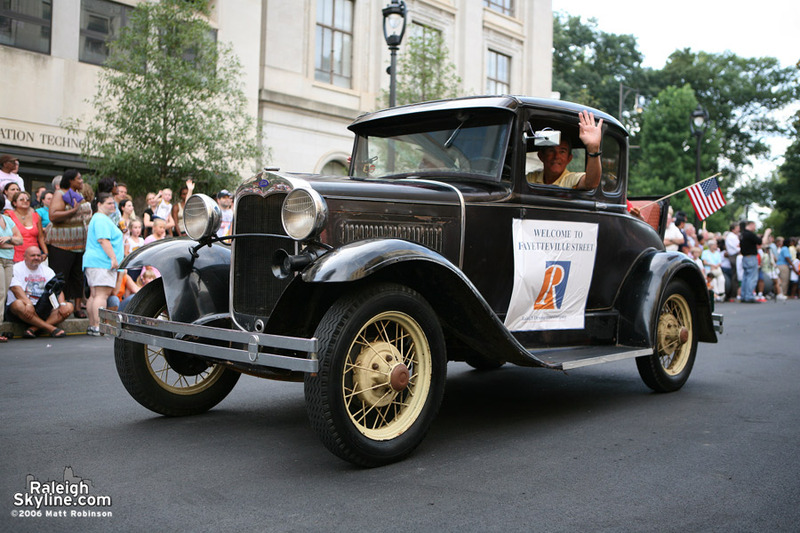 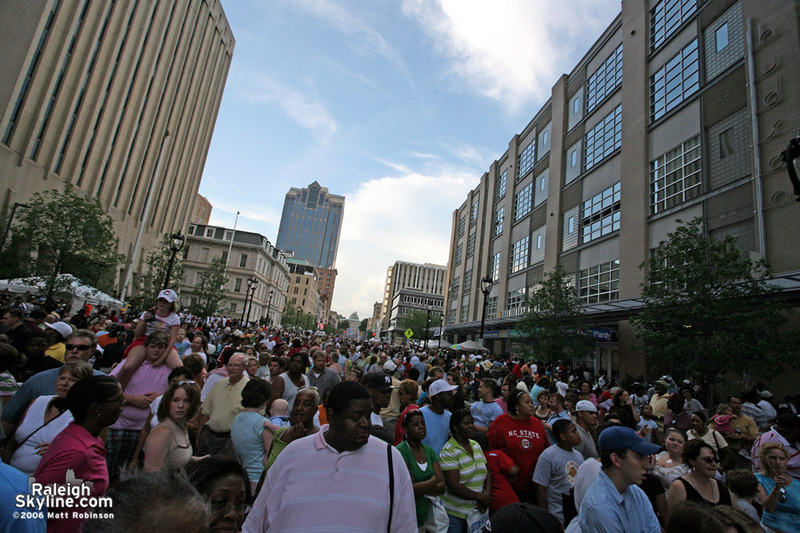 Fayetteville Street reopened Saturday night, July 29th, 2006 after missing the past 30 years. 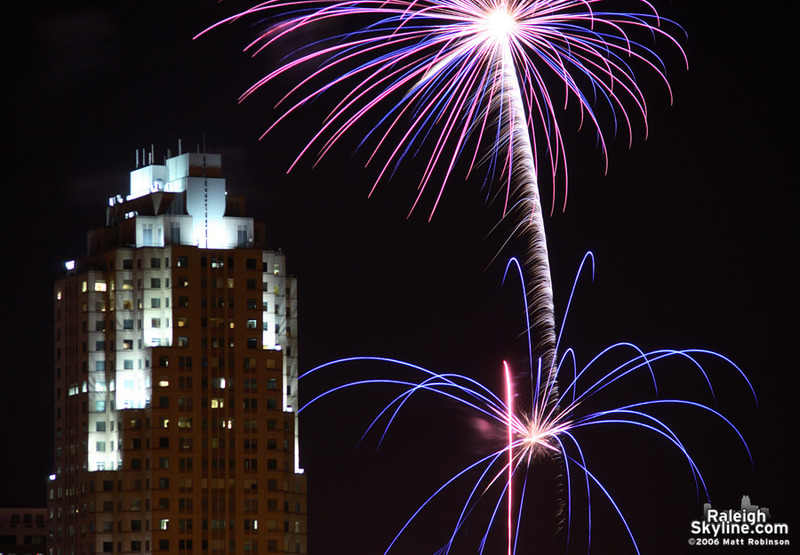 Here are some photos from the festivities, including the fireworks. 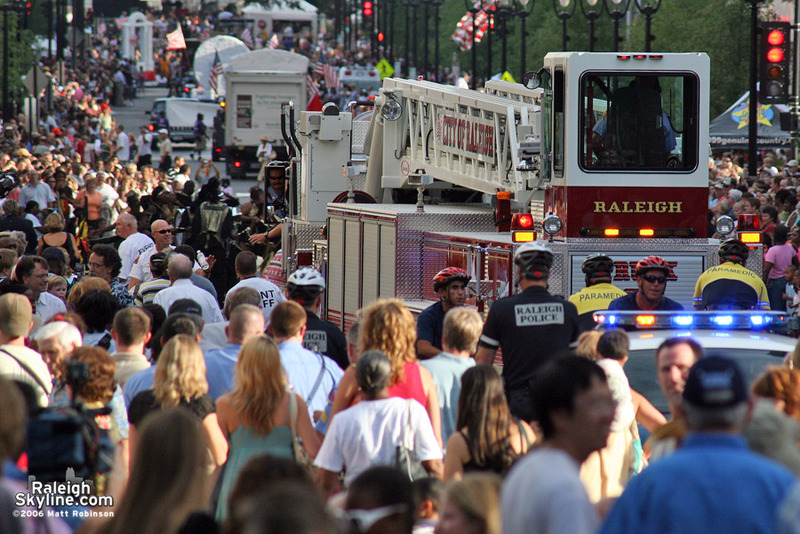 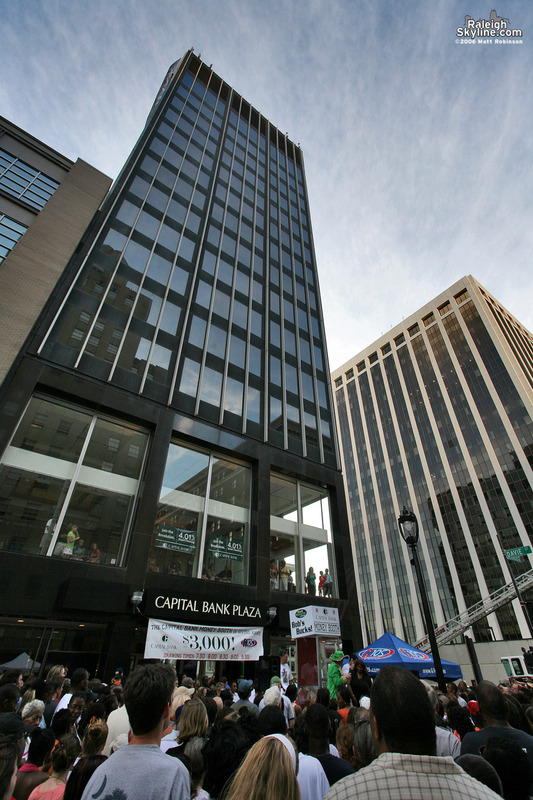 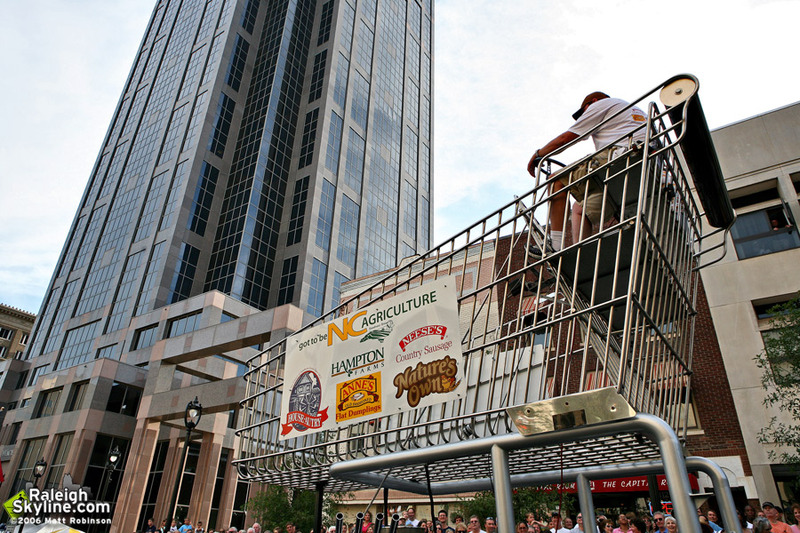 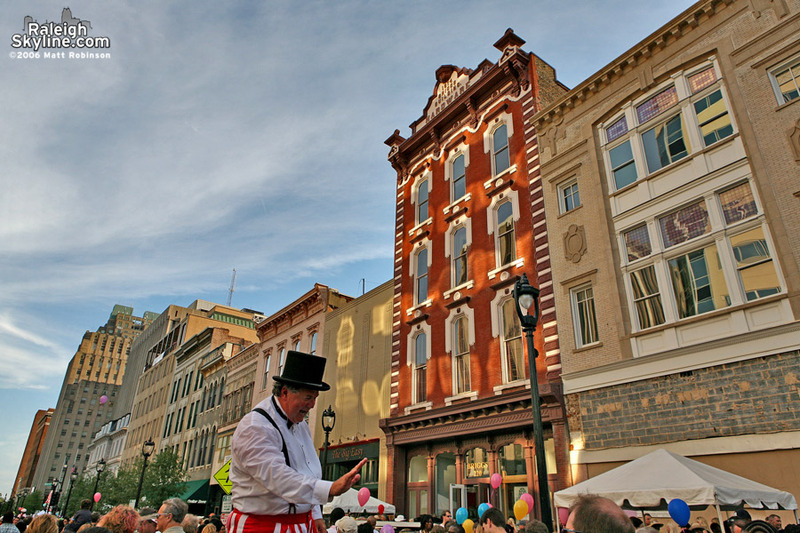 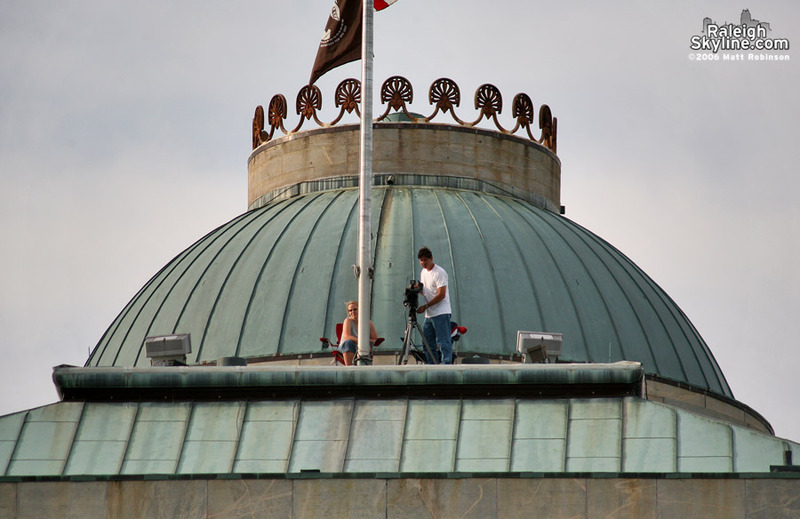 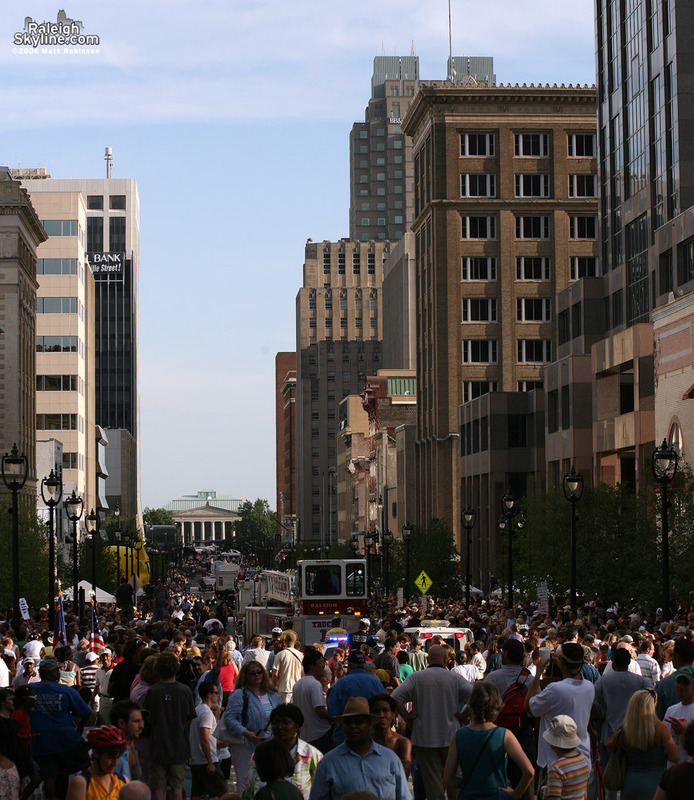 A news helicopter watches over a large crowd packing the brand new Fayetteville Street while Mayor Meeker spoke. 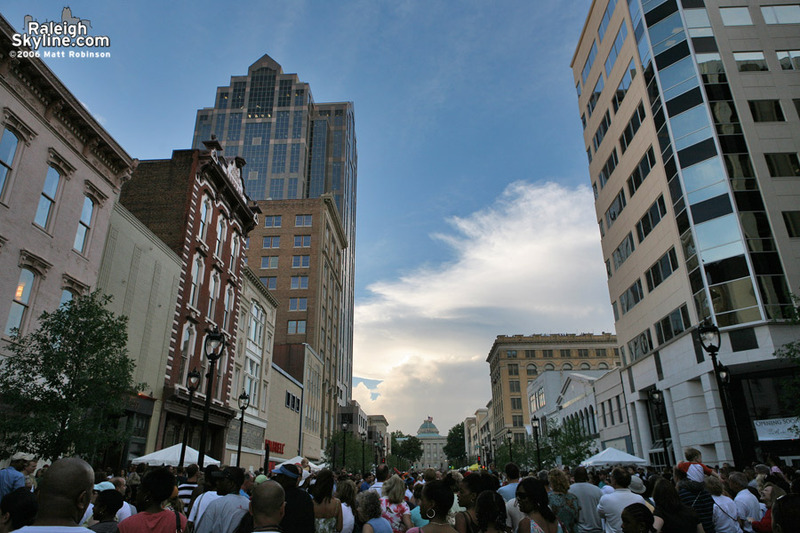 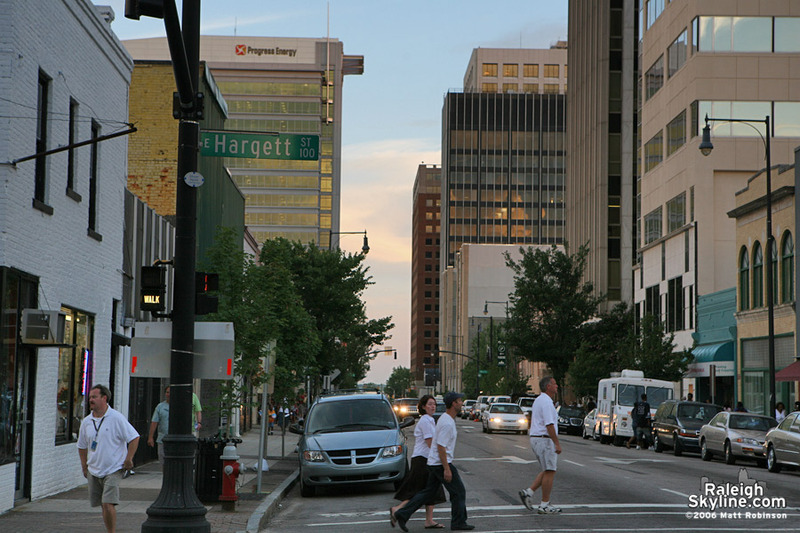 Downtown from the north end of Fayetteville Street. 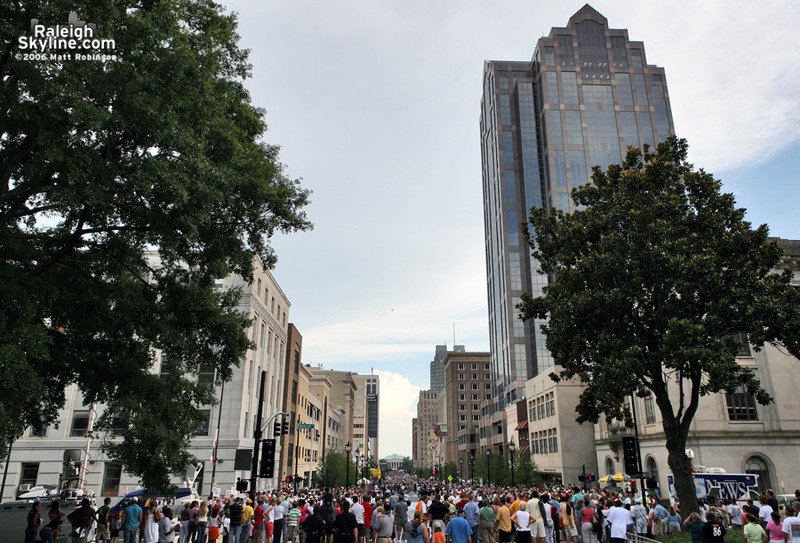 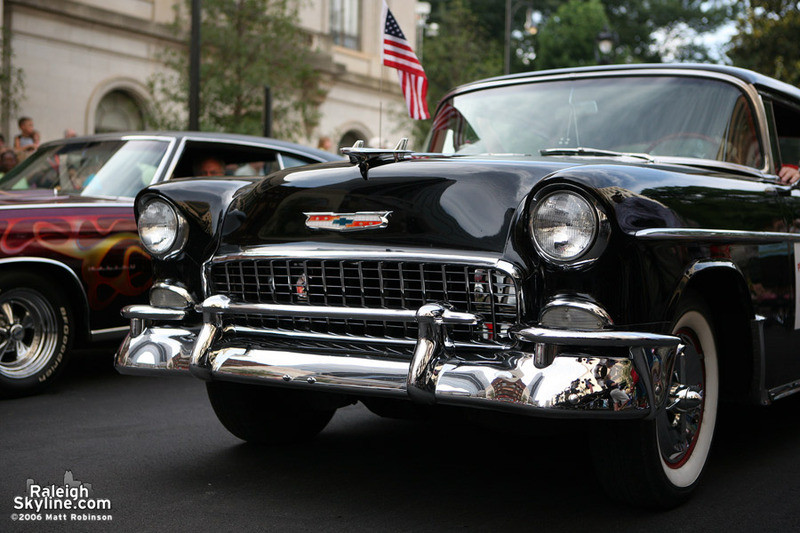 The crowd was pushed back to make way for the parade. 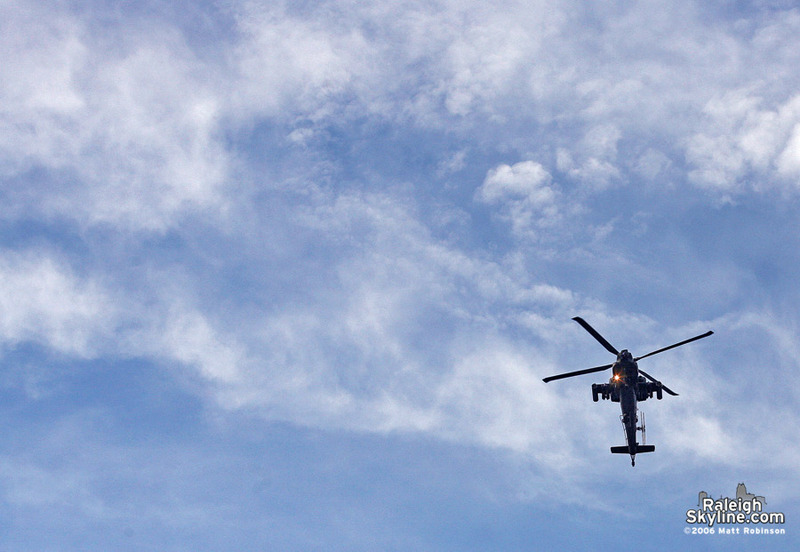 Perhaps they know where they are. 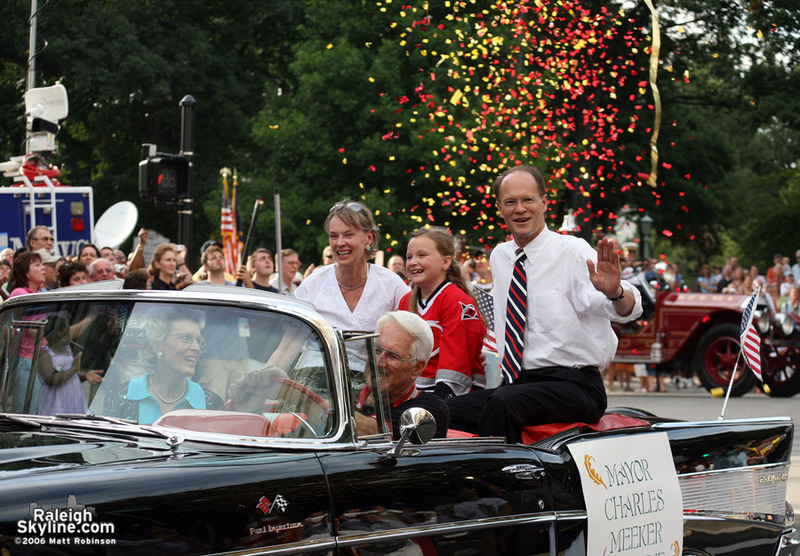 Mayor Meeker waits for the flyover. 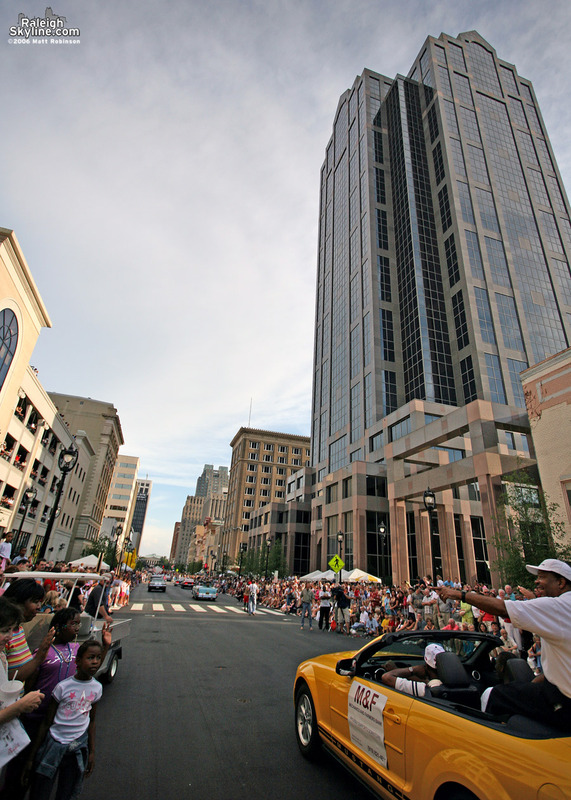 Apache Helicopter approaches Fayetteville Street. 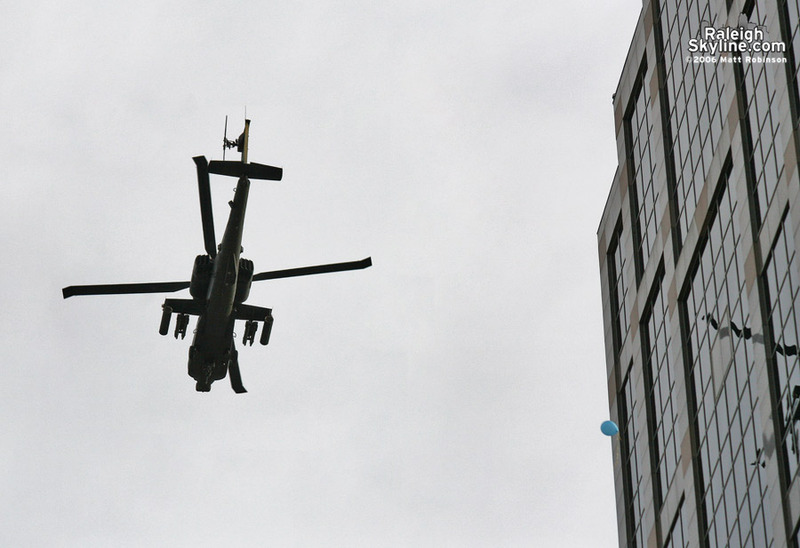 I wonder what costs more, the building, the balloon, or the copter? 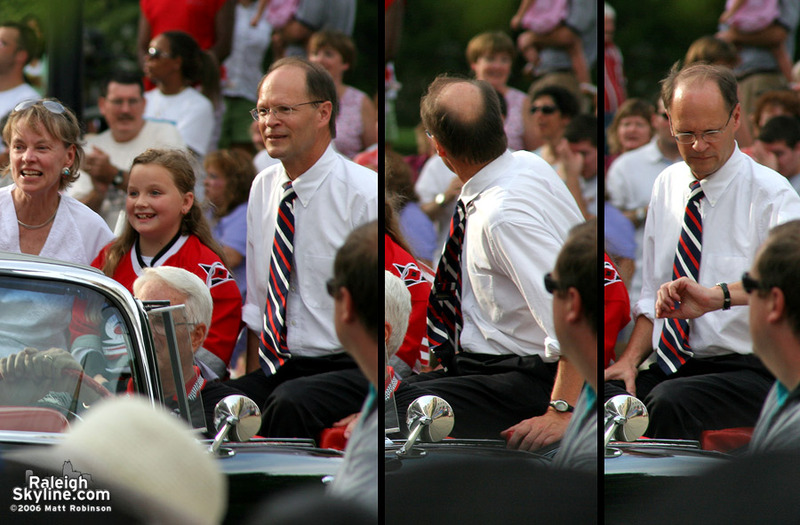 ABC11’s Steve Daniels ponders his next move. 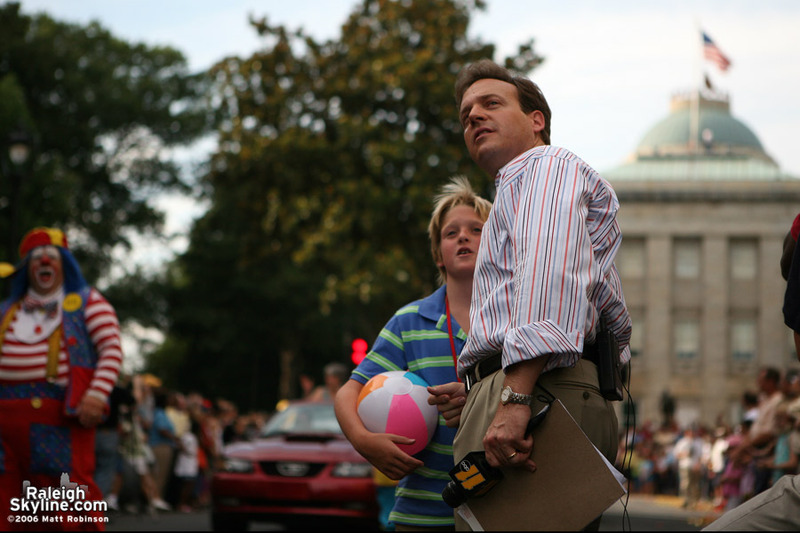 ABC11 anchors tossing candy from the float. 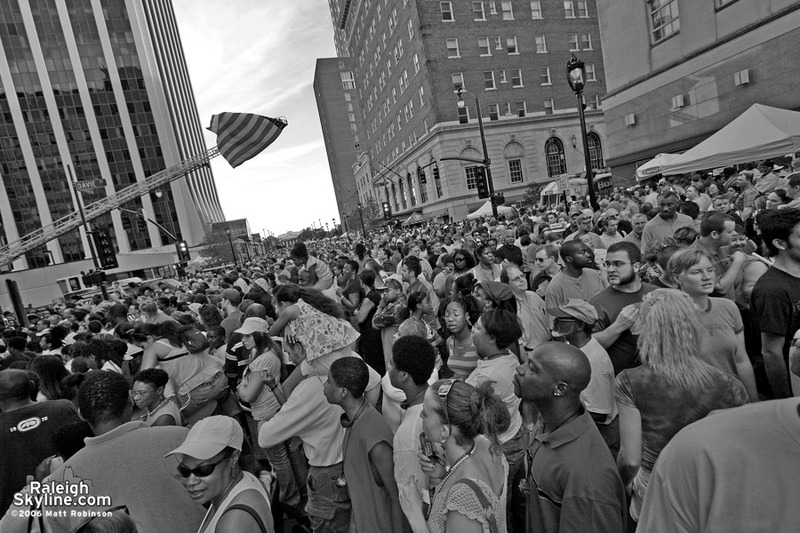 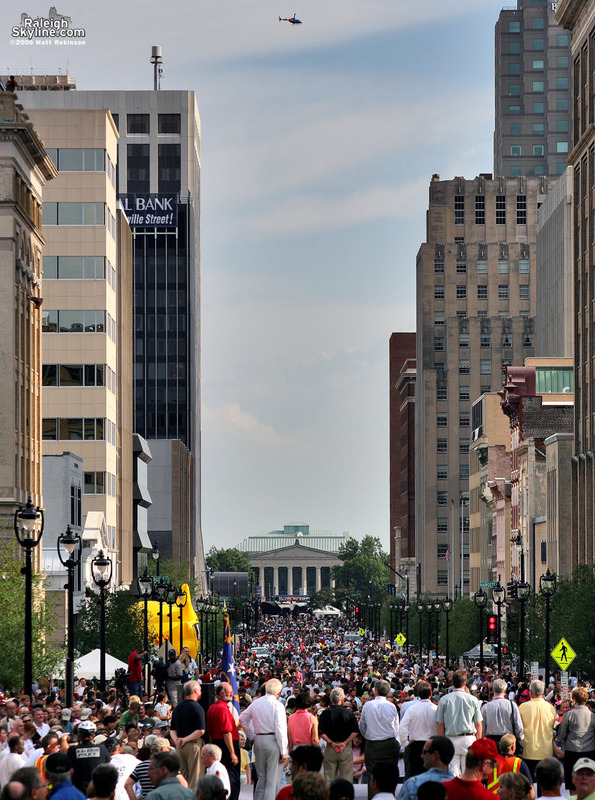 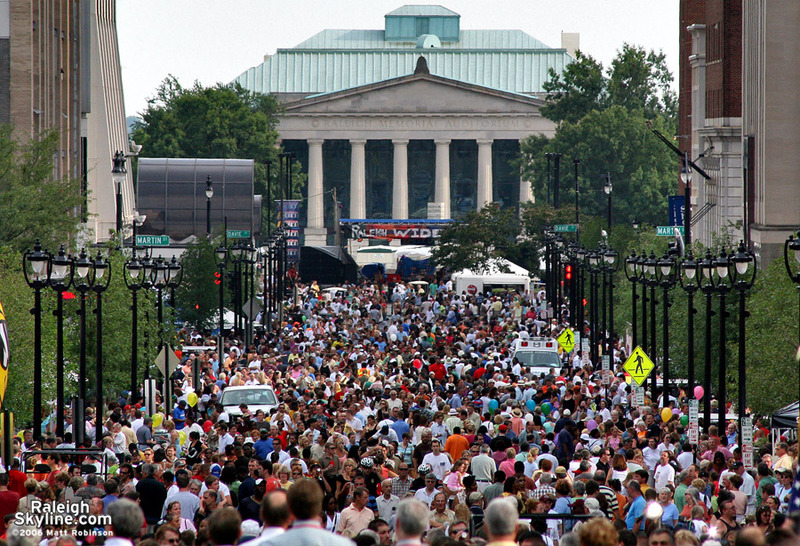 Crowds packed the brand new Fayetteville Street. 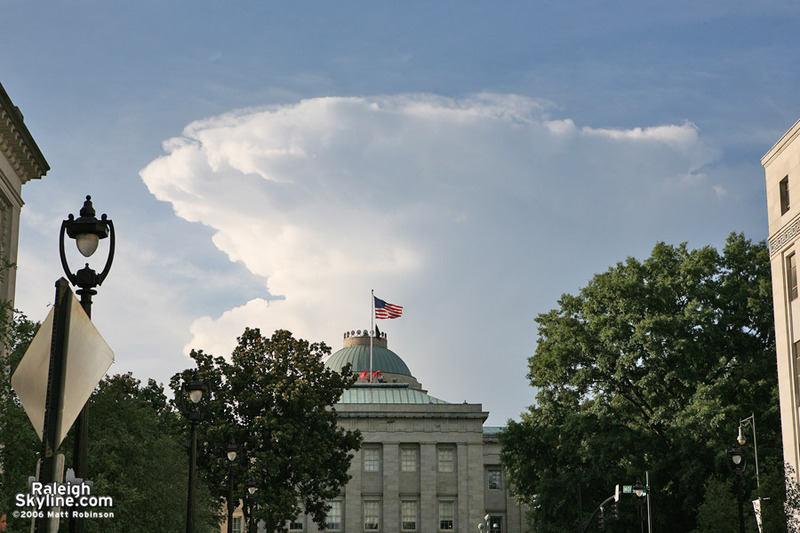 This storm was around 80 miles away. 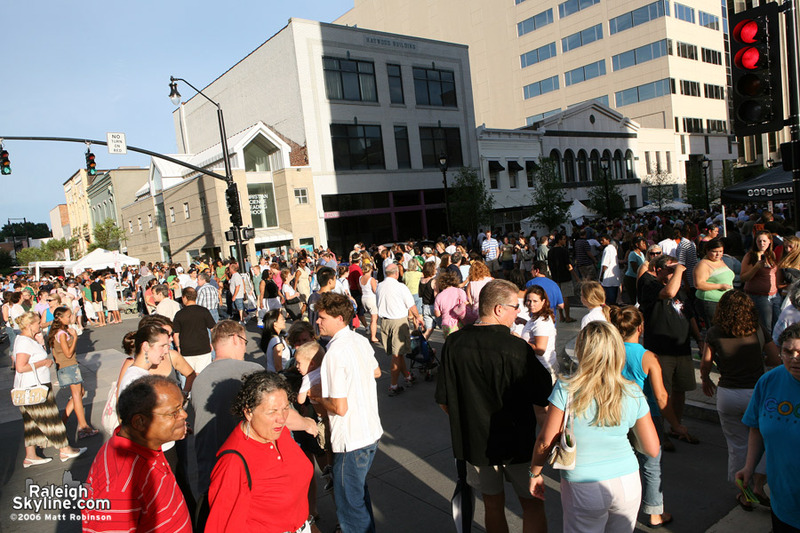 Everyone watches g105 money grabbing. 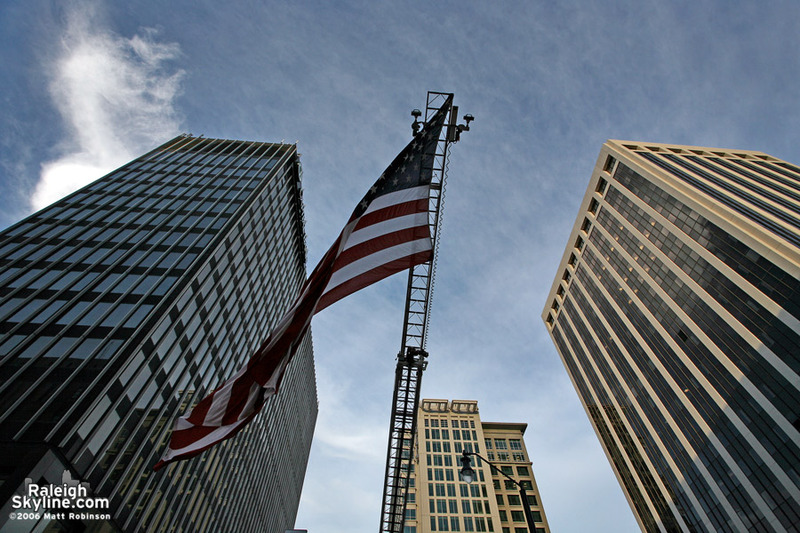 American flag among Raleigh’s densest core. 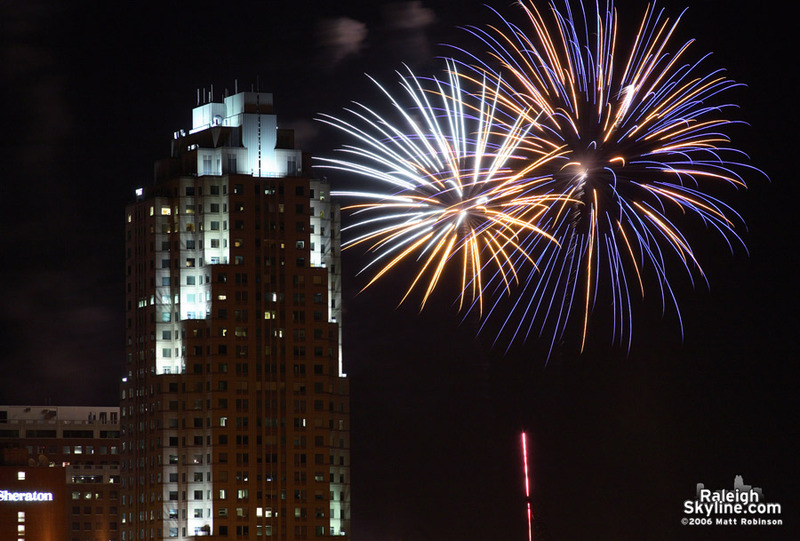 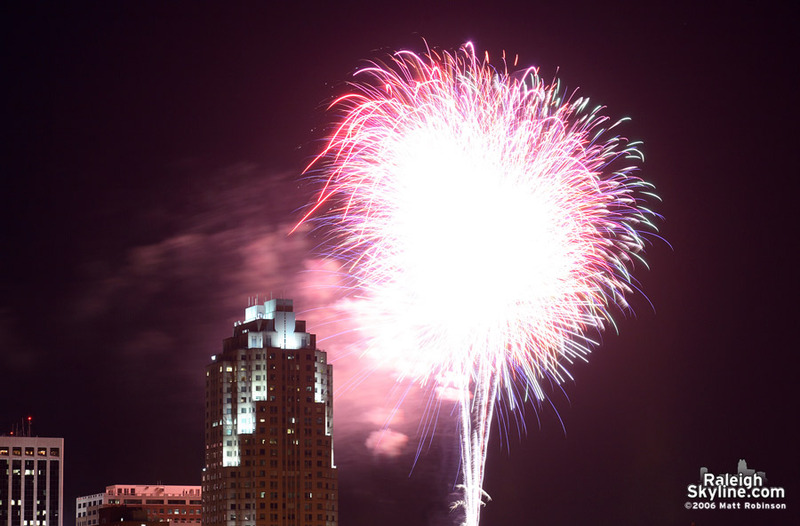 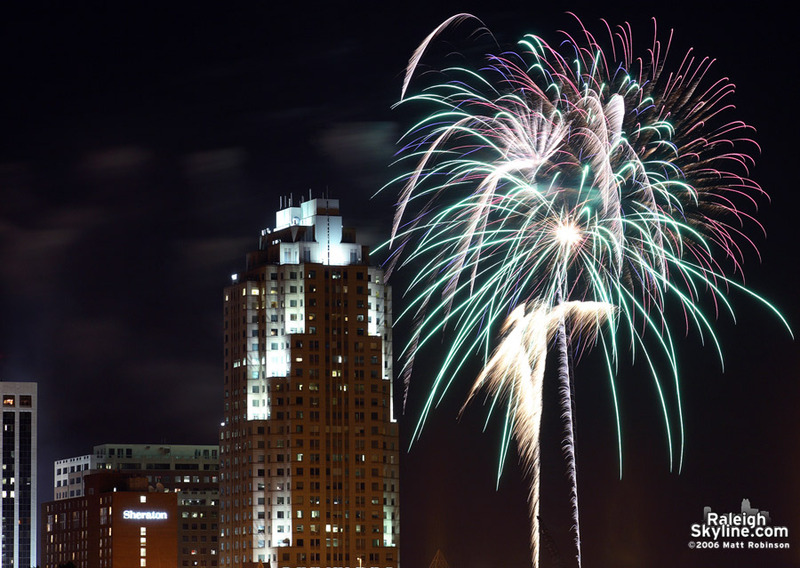 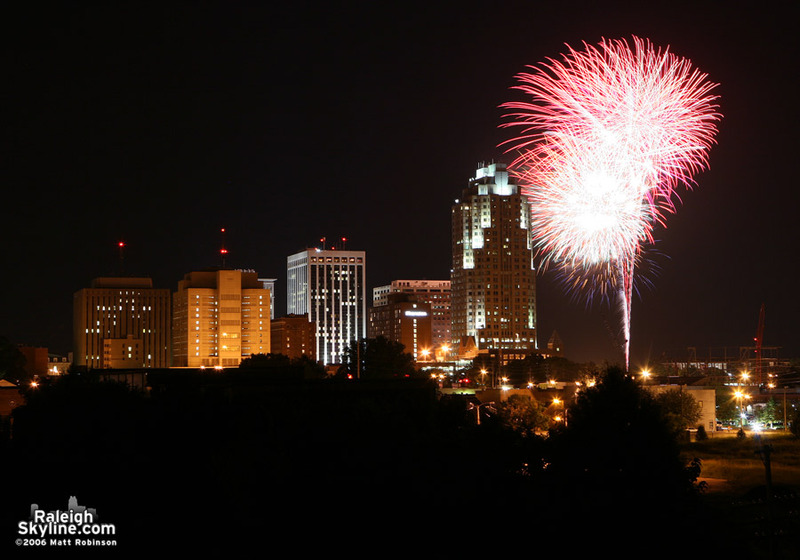 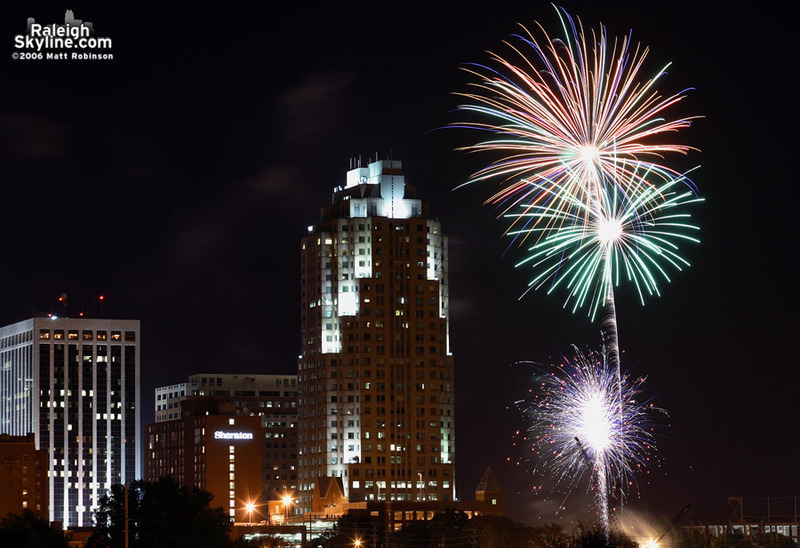 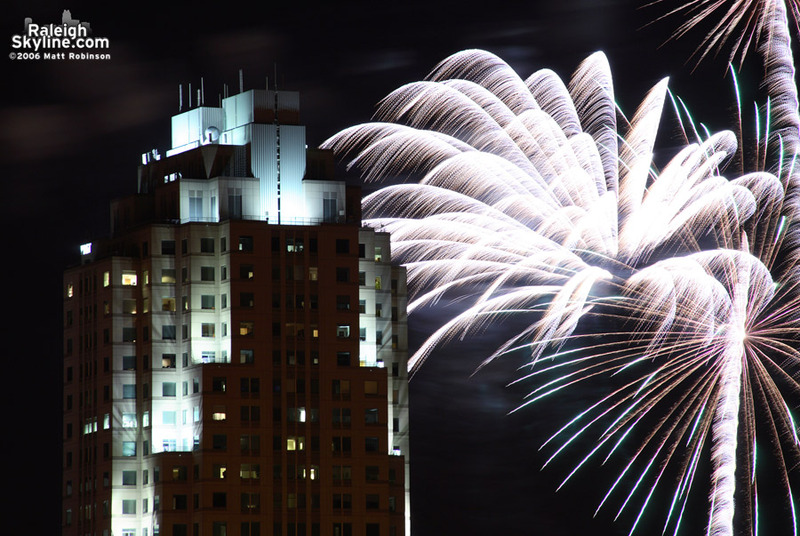 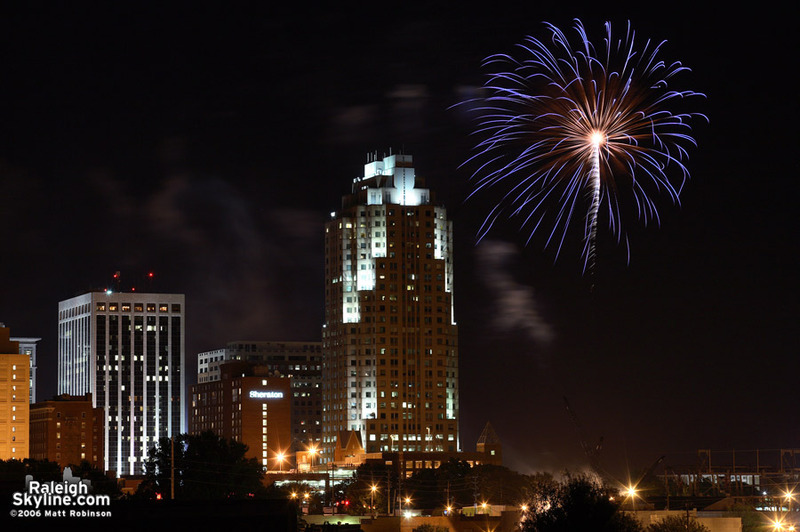 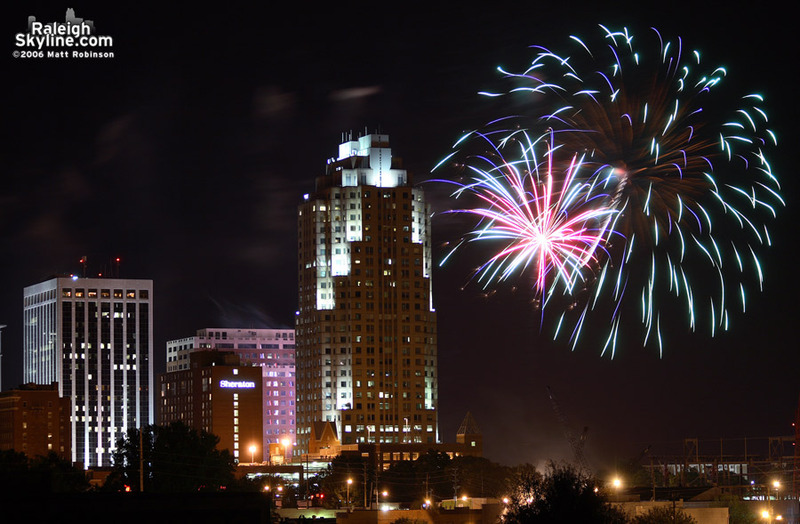 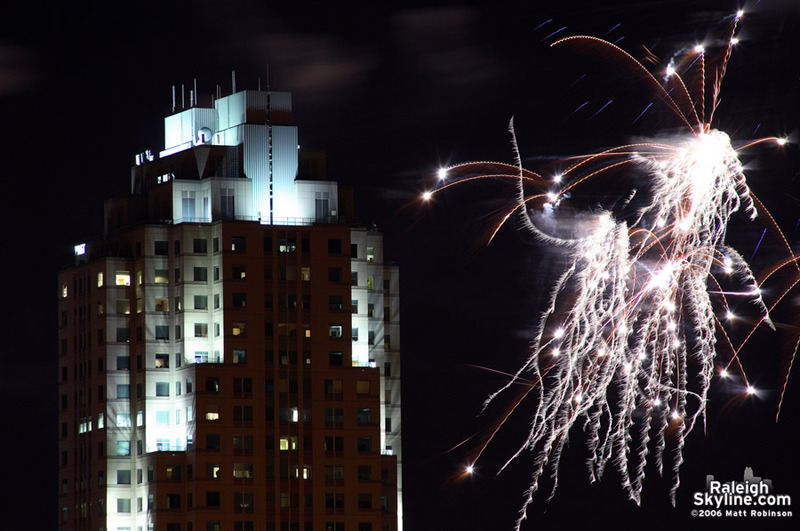 Fireworks over the Raleigh Skyline.